Sirasa Super Star and Derana dream star music group member, eminent violonist Thushani Jayawardana got married recently. Her loving groom was Asiri who is a CEO of Sri Lanka Telecome. 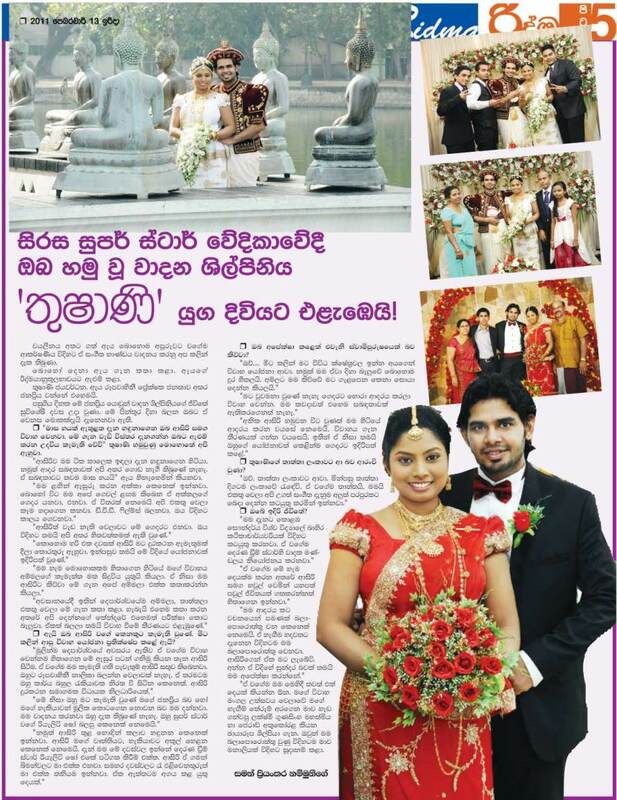 Lanka Help Magazine with Thushani & Asiri happy wedded life.